At D’Angelo and Sons, we have a goal of helping you to protect our roofing system and overall your property’s exterior. The list of roofing services we have available for our Oakville clients is very comprehensive. From installing eavestroughs and gutters to cleaning, repairs and complete roof installations, there’s simply no job that we cannot handle at D’Angelo and Sons. You can depend on us whenever you need a roofing repair company Oakville for extensive roof repairs, installation or maintenance services. Oakville homeowners have trusted us as their go-to roofers for years. You should too. We always stand behind our work and offer a workmanship warranty to assure clients that they are getting value for their money. We use the best roofing products and components for repairs and installation projects. If you need help choosing the right roofing material for a new installation job, our contractors are always happy to help. We can explore your options together and recommend the roofing components that best suit your needs and budget. There are many times when a complete roof replacement is not necessary. If you need expert contractors to come and perform necessary repairs, our team will help you find the exact issue and fix it. We respond quickly to our Oakville clients and show up to get the job done effectively. Most roof repairs are minimal and less costly but can save you thousands by preventing further damage. Get in touch with us before it’s too late. At D’Angelo & Sons, we will come to your Oakville home to do a FREE inspection to determine if your roof needs repairs or complete replacement. If the damage requires replacement, our experienced roofing technicians will remove the old roof, replace it with a new one, and clean up after the job. We only use roofing solutions from top manufacturers such as shingles from Building Products of Canada Corp. (BP), GAF Materials Corporation, Owens Corning, and CertainTeed. Overhauling your roof can be expensive. For this reason, we have partnered with SNAP Home Finance to offer our clients 0% interest financing. Roof replacement is a major project and anything can go wrong. We carry WSIB work insurance, meaning you will not be held liable in case of an accident. Our roofing technicians are certified, thereby reducing the risk of voiding your roofing warranty. We also offer workmanship warranty which means we will do repairs in case of damage caused by poor workmanship. Even as we fix your roof leaks, we will also take preventive measures, help you identify the cause of the leaks, and advise you on what you can do to prevent the recurrence of the problem. At D’angelo & Sons, we have been mending roof leaks in Oakville for over 30 years. In this time, we have found that the most common causes of roof leaks are aged roofing systems (age causes the roofing material to become brittle and to eventually start cracking), improperly sealed roof vents, shallow roof slope (pitch), leaves, pine needles, twigs, and other debris that trap water against the roof and allow capillary action to seep water into the roof, holes in the ridge cap, flashing sections that have slid out of place, holes, excess Oakville rain, gutter backup, and missing shingles. We will do a free inspection to pinpoint the problem so that we can take the best corrective action. Since we opened our doors in 1978, we have repaired thousands of metal roofs in Oakville and the surrounding areas. We will sort out oil canning on copper, zinc, aluminum, and galvanized steel roofs. Oil canning is the stress wrinkling or elastic buckling of a roof. If your roof is leaking, we will come and seal the leak and take action to prevent future leaks. We use pens and touch-up pens to clear Scuffing and Scratching and replace sheets whose scratches are down to the core of the metal as this will lead to rust in time. All metal roofs corrode with time (usually several decades). In case of corrosion, we install coasts and protective pain systems. We also align the problem of dissimilar metals and materials (which exposes the metal to early degradation) and other installation errors. We have the tools and equipment for the job. Call us for a FREE inspection. When you contact D’angelo & Sons with a flat roof problem, we will do an inspection to determine the exact problem. We will be on the lookout for sandy residue on the surface that appears dirt-like or muddy when scrapped as this is a sign that the gravel is beginning to disintegrate. We also look for blisters in the surface, moss and algae growth, evidence of fissures and tears in the membrane, and active leaks. We also look for the appearance of exposed felt layers, alligatoring, debonded seams at perimeter edges and laps of the material, for blisters or wrinkles resulting from incorrect application and lack of full bonding, and internal strains. We also offer such related services as maintenance of flat roof mounted skylights that could be causing the leak, faulty drainage, mending cracks, and getting rid of ponding water. We do inspection FREE of charge, after which we recommend either repair or complete overhaul of the flat roof. Oakville has a humid continental climate with highs of 28 °C and lows of -30 °C. The climate is also characterized by ice storms, hail, blizzards, floods, hurricane remnants, and heavy fog. These extremes often lead to roof damage. You need emergency roof repair the moment you get roof damage to protect you from the elements, to prevent water damage and to prevent the exacerbation of the problem that may necessitate replacement. At D’Angelo and Sons, we have sufficient vehicles, tools, equipment, and personnel for our emergency roof repair service since we understand every second counts in a roofing emergency. We pride ourselves on the quality of our work – we do not leave anything out of place. To back this up, we have one of the best workmanship warranties in the industry. We have been offering the service in the GTA since 1978 and we know what works and what doesn’t. Oakville has a humid continental climate that is characterized by warm summers and cold, but not extreme, winters.  With this climate and the hurricane remnants, ice storms, floods, blizzards, heavy fog, and hail that are common place, cedar roofs, with their strength, wind, UV rays, moisture, and insect damage resistance, cedar roofs are the perfect fit. At D’angelo & Sons, we do cedar roof repairs for Oakville residents and elsewhere in the GTA. So, what does our cedar roof repair service entail? We begin by doing an inspection of your roof, a service we offer free of charge. Once we identify the damaged pieces, we use a sharp chisel and a hammer to split them. We then measure the gap left, cut a new piece, and install it. We then set nail heads with a nail set and seal them with a caulking compound. We stand by our work and our industry-leading workmanship is proof of this. We also do not sub-contract any of the work. At D’Angelo and Sons, we ensure that your Oakville attic ventilation system is balanced. This is important because shingle manufacturers require balanced attic ventilations if they are to honor their material warranties. A balanced attic ventilation also makes your home energy efficient and it prevents mold, ice damming and other water-related issues. So, how do we achieve this balance? We do an inspection to determine what your roof needs. An example of the action that we then take is the installation of baffles at the eaves, under the sheeting or roof boards to prevent insulation from impeding the air induction path at the eaves area. Another example is that we remove bricks between rafter spaces to ensure air enters the attic through continuously vented aluminum soffit panels that we install on the under-hang. Our roofing technicians are trained and experienced in air sealing, interior insulation, and building envelope science. We only install attic ventilation systems from top manufacturers like Owens Corning. At the family-owned D’Angelo and Sons, we have been offering Oakville residents comprehensive asphalt roofing services for over 30 years now. We start off by a thorough inspection to determine the extent of the problem and to determine if repairs or complete replacement is necessary. This inspection is FREE of charge. One of our most common asphalt roofing problems we find in our line of work is mineral loss, which can lead to leaks. If the mineral loss is extensive, we will recommend a complete replacement. In case of exposed intermet, we repair the damaged shingles. Broken and missing shingles are also common in Oakville due to the adverse weather conditions. We replace such shingles. Other common asphalt shingle problems we deal with are shingle cracks, delaminating/slipping, overexposed shingles, and debris and the roof. We do all the work ourselves – we do not subcontract – and we offer workmanship warranty. We have very competitive rates for a GAF top 3% roofer (North America). D’Angelo and Sons is here for homeowners in Oakville with exterior solutions that are both efficient and physically appealing. In business since 1981, we’ve built our reputation on quality and customer service. Oakville is a brand new community with a lot of new homes in the neighbourhood. With it’s proximity to the city, great amenities, schools, and transportation, houses in Oakville are highly sought after—to which the booming real estate market can attest! Keeping Oakville beautiful is an effort that each and every homeowner undertakes by maintaining the exterior of their own house. But maintaining the exterior of your home is not just about the aesthetics. You’re also protecting your home and your family from costly repairs as a result of water damage, heat escape and other structural defects. D’Angelo & Sons offers a wide range of services to either repair or replace elements of your home’s exterior. We have over 35 years of industry experience handling roofs, siding and eavestroughs. Our professionals are highly trained and certified experts who can get the job done right—on time and on budget. Living in Ontario, you and your home are both subject to four very distinct seasons, each with their own weather patterns. Wind, temperature, and humidity level also play a role in this. Whether it’s the summer sunshine or the winter snow, you need to be able to trust your home to protect your family from the elements. The reality is, that each of these weather patterns will affect your home over time. Knowing when to repair or replace your roof, siding, or eavestroughs can be a difficult and stressful time, but D’Angelo and Sons is your trusted partner in this process. When roofs fall into disrepair, they can cause water damage, heat escape, and other costly structural defects to your home. We’re equipped to handle all different types of roofs, including flat-slope roofs, and can either repair or replace damaged areas according to your specific needs. Whether it’s the shingles, old plywood, skylights, or ventilation fixtures, we can address the problem areas quickly and cost-effectively. 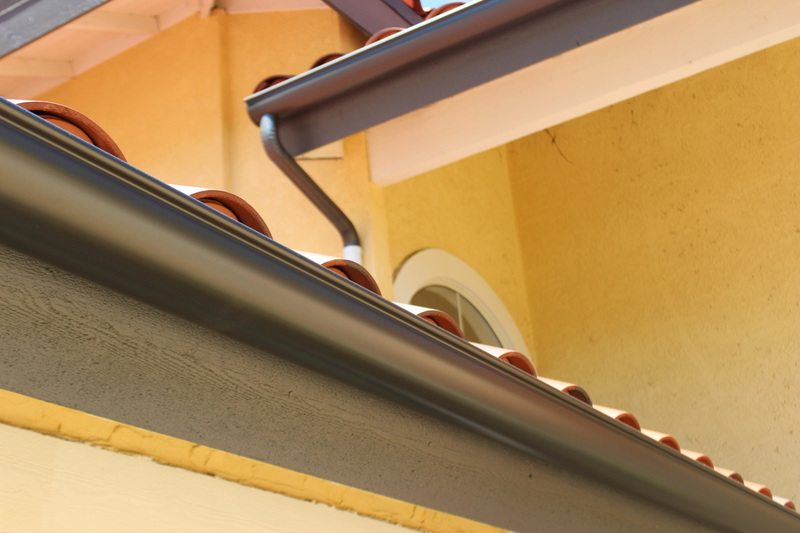 Eavestroughs are also very important to maintain, although many contracting companies offer this only as a supplementary service. Clogged or broken eavestroughs, gutters, and downspouts can cause a variety of problems, such as wet basements, water damage, unwanted animals and mould. We know how important is it to avoid these issues and consider our eavestroughs services to be of the utmost importance. Addressing the repair needs of your roof, siding, and eavestroughs is not just practical—it also increases the curb appeal of your home. By extension, you’re increasing the resale value of your home and neighbourhood by ensuring that the exterior of your home is well-maintained. The same goes for the siding of your home. Siding types vary between vinyl, wood, and aluminum, but all types are susceptible to wear and tear, as well as damage, over time. Keeping the siding on your home well-maintained is crucial to preventing larger problems further down the road. Maintaining the exterior of your home keeps Oakville a beautiful and highly desirable city. It also protects you and your family from the elements and costly repairs from water damage or wear and tear as a result of our Ontario weather. Contact our Oakville team today to get more information on repairing or replacing the roof, siding or eavestroughs on your home today.